The Minister of Transportation, Mr. Rotimi Amaechi has stated that the mandate given to him by Mr. President, Muhammadu Buhari is to ensure that the entire country is connected by rail. Amaechi Amaechi made this declaration when he delivered a keynote address at the 2017 15th National Council on Transportation, in Sokoto yesterday. “The President called two of us, myself and my Colleagues in the Ministry of Works and Power Babatunde Fashola and told me specifically that I must ensure that the 36 States including Abuja are connected by rail”, he said. The Honourable Minister said that the ongoing rail projects in the Country will create employment opportunity for the teaming youths stating that to grow the economy effectively and efficiently, the railway must be developed. He disclosed that the Federal Government is on the verge of signing a contract agreement with General Electric for the rehabilitation of the rail line across the country to ensure they are put to use in the very shortest time saying that Government has ordered more Locomotives for the Standard Gauge rail lines. He stated further that the President has given approval for the construction of Abuja-Itakpe rail line and at the same time preparing to commence commercial activity on the Ajaokuta-Warri line which will be completed in June 2018. 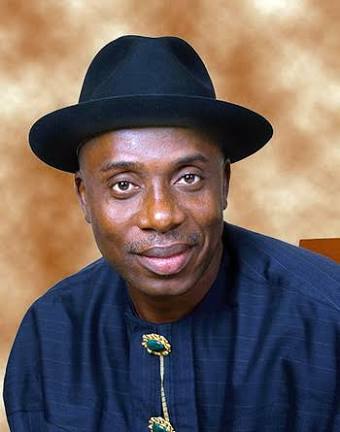 Chibuike Amaechi in emphasising the importance of the National Council on Transportation said aside being the highest Policy Advisory body on all transport matters in the nation, the council sets the policy Agenda and provides the regulatory framework for the development of the Nigerian Transport sector. He added that the theme for this year National Council “Efficiency of Intermodalism in Transportation: Panacea for Economic Recovery” was apt as it is consistent with the determination of the Present Administration of President Muhammadu Buhari to diversify and stabilise the economy. The Minister disclosed that the Ministry of Transportation has revived the erstwhileTransport Sector Reform Bills in the National Assembly which objective is to break the Federal Government’s monopoly in the transportation sector and open it for Private Sector and other tiers of Government participation. In this way he said, Government will now be left to focus on technical and economic regulations of the sector. Earlier the Honourable Minister of State, Aviation, Sen. Hadi Sirika represented by the Permanent Secretary Sabiu Zakari in his Address emphasised the need for every sector of the economy to operate efficiently for the recovery of the nation’s economy given that the falling price of oil which is the main stay of the economy has led to the decline in Government revenue and is impacting negatively on the economy. He disclosed that in preparation for an efficient inter-modal transport system, President Muhammadu Buhari had approved a robust Roadmap for the Aviation sub-sector. According to him, the road map which include Airport Concession, establishment of National Carrier, establishment of Maintenance, Repair and Overhaul (MRO) facility, Development of Agro-allied Cargo Infrastructure, establishment of Aerospace University and establishment of Aerotropolis cities through PPP is intended to address some of the infrastructural gaps and challenges with a view to providing long-term solutions. In their contributions, the Executive Governor of Sokoto State, Rt. Hon. Aminu Waziri Tambuwal and His Eminence, the Sultan of Sokoto Alh. (Dr.) Muhammad Sa’ad Abubakar reiterated the need for the Federal Government to connect the State with rail line in the shortest possible time. However, His Eminence, the Sultan of Sokoto stated that the responsibility of road construction and maintenance in all designated Federal and States Roads ought o be under the Ministry of Transportation. In this way, according to him, all bottleneck and official diplomacy associated with road construction and maintenance between the Federal and State Governments in the country will be completely eliminated, and the benefits will be to the advantages of the citizenry.